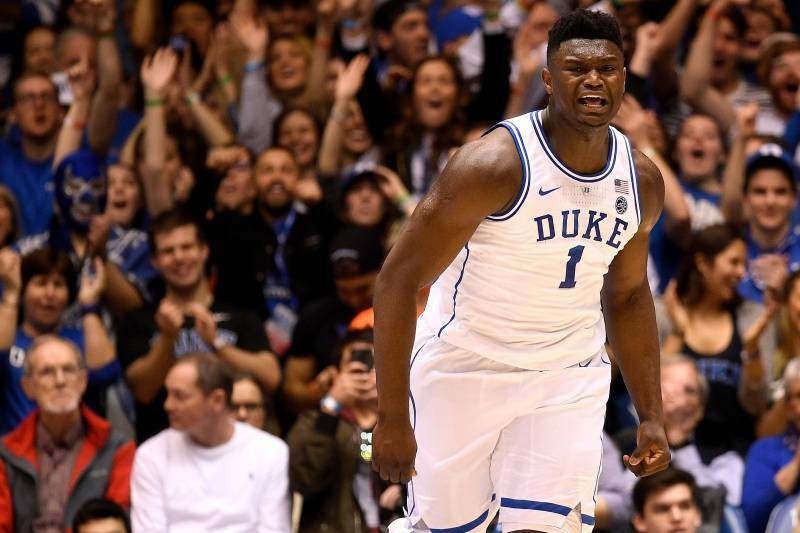 For the New York Knicks, the dream summer would involve landing the top overall pick in the NBA draft lottery, drafting Duke superstar Zion Williamson and signing Kevin Durant and Kyrie Irving in free agency. And Williamson, when asked about Knicks fans dreaming about such a scenario, said he is excited by the idea. "It would be dope to play with KD and Kyrie but whatever team drafts me I'm going to be ready to play hard and work," he told Adam Zagoria of SNY on Saturday. Williamson, 18, is the prohibitive favorite to be the first pick in the NBA draft this summer. He's absolutely dominated at the college level, averaging 22.0 points, 9.2 rebounds, 2.4 assists, 2.0 blocks and 2.0 steals per game while shooting an incredible 68.1 percent from the field. As an added bonus, he's one of the most explosive and exciting players to watch in years, creating one highlight after another with his ability to play above the rim and slam home impressive dunks. Few rookies will come into the NBA with more buzz than Williamson next season. The Knicks, meanwhile, hold the NBA's worst record at 10-41. Due to changes in the lottery this season, the bottom three teams will hold identical 14 percent chances to win the top overall pick, so the odds remain far more likely that the Knicks will end up with a pick in the 2-5 range if they maintain that league-worst record. Even if they won the top overall pick, there's no guarantee that the team wouldn't trade it. If Anthony Davis isn't traded before the summer, for instance, the Knicks could build a package around Williamson and Kevin Knox to land the superstar and combine him with two max free agents to chase a title. The Knicks could also find themselves in a situation where they miss out on the top free agents and in need of a full rebuild. Suffice it to say, their summer will be fascinating to watch unfold. As for Williamson, he'll be the frontrunner for Rookie of the Year no matter where he ends up, given the dominance he's displayed at Duke. On a team full of elite prospects, Williamson has stood out, and that's no small feat.